Taylor Swift…. she’s the girl next door type 24 year old chart topping singer/songwriter the world has fall in love with. Her fans have seen her go through many failed relationships and heartbreak that she’s been very open about. She’s known to take inspiration from her own life and relationships to write hit songs many young women and girls can relate to. 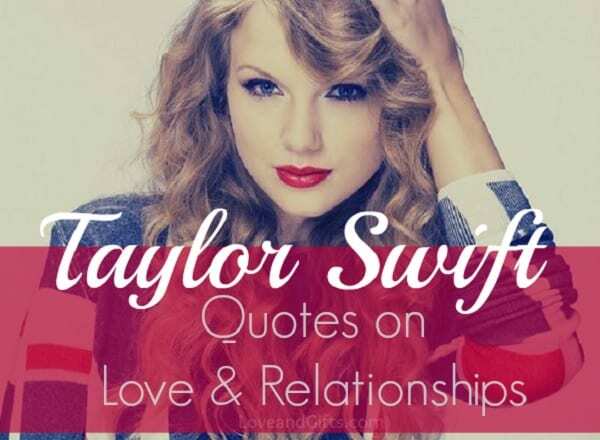 In honor of Ms. Swift’s upcoming newest album 1989 being released this fall, we’re featuring the 17 best Taylor Swift quotes and lyrics on love and relationships! *This post contains an affiliate link. Click here to learn more. One Response to "17 Taylor Swift Quotes on Love and Relationships"
Love Love love 🙂 🙂 Taylor swiftttttt !